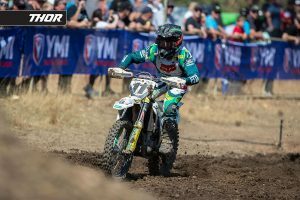 Welcome to Motoview presented by Thor MX Australia on MotoOnline.com.au and, three weeks into the new year, January has flown by. No doubt, the man of the moment is Toby Price coming off of a second Dakar Rally win in Peru and arriving home to an immense reception on Sunday. As we do every year, we closely followed Price’s progress through the rally’s 10 stages and it was spectacular to see him maintain the lead once he got there with a couple of stages to run. That final day was a nerve-wracking one, but in the end he got the job done. It’s always mega to see Australia get behind Price at this time of the year, his achievements certainly being recognised and it was even a plus to see the mainstream news meet him on arrival in Brisbane. Since then he’s been involved in a variety of media activities and there’s been little time to rest. Price confirmed yesterday that he has further damaged his wrist as a result of the 5000 kilometres and will undergo surgery to help his scaphoid heal from this point. He doesn’t have a lot of time to recover however, as the opening round of the Cross-Country Rallies World Championship is scheduled for the end of March with the Abu Dhabi Desert Challenge. 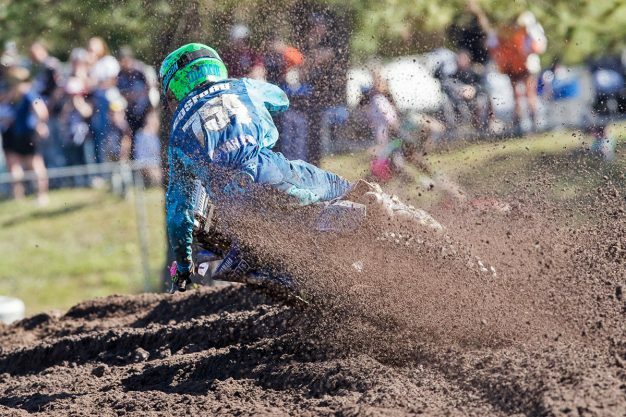 Elsewhere, right around the corner is the brand new bLU cRU 2-Stroke Amateur Nationals, operated by Williams Event Management – the MX Nationals organisers – and beginning in a few weeks on 10 February at Traralgon, Victoria. There will be two more rounds following that, at Coolum and Canberra. It’s clear that riders are right into two-strokes, so with multiple classes for Junior (65cc, 85cc and 125cc) and Senior (All Powers and All Powers Retro) riders there will be a lot of interest in this series from a competitor’s perspective. We’ll also follow it where we can and look forward to seeing it all take place. Hasn’t the start of the 2019 Monster Energy AMA Supercross Championship been an odd one? Three rounds in and we’ve witnessed three different winners, two being career-first victories in Blake Baggett (Rocky Mountain ATV/MC KTM) and Cooper Webb (Red Bull KTM Factory Racing). Webb’s victory has been a long time coming, and he really rode to the level he became known for at A2’s Triple Crown. That last lap pass on Ken Roczen (Team Honda HRC) in the first main? That was something pretty special from the youthful talent. His graduation to the premier class has been somewhat lacklustre, failing to make a significant impact following a lot of hype from his 250 days. 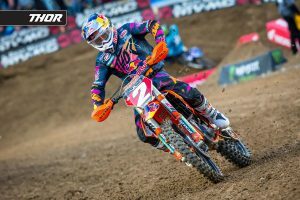 It seems the change of scenery at KTM, along with training with teammate Marvin Musquin (Red Bull KTM Factory Racing) at Aldon Baker’s facility is proving to be a fruitful combination, and hopefully this is just the beginning for a reinvigorated Cooper Webb as he sits third in the standings. 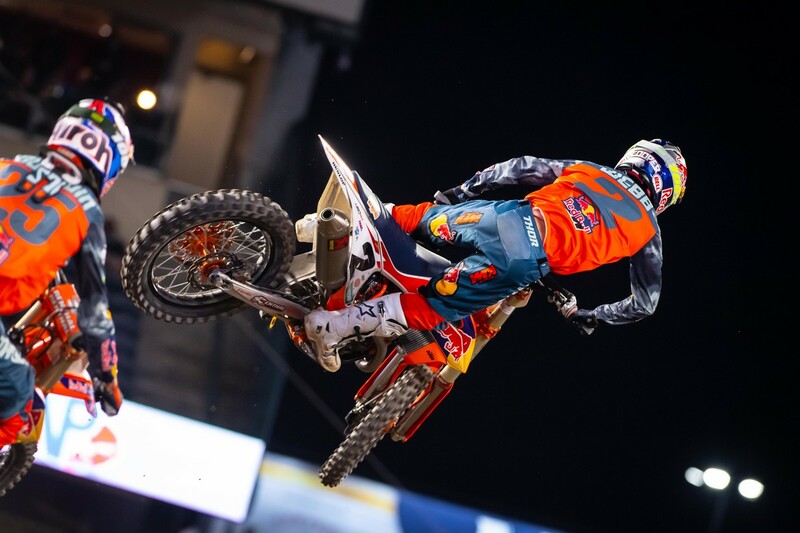 The championship is anyone’s – there are no clear favourites after the way the first three rounds unfolded, and just seven points separate the first five riders in the standings with Roczen leading the charge, two markers ahead of Eli Tomac (Monster Energy Kawasaki). News rolled through this morning that the series will be without a significant contender – defending champion Jason Anderson. 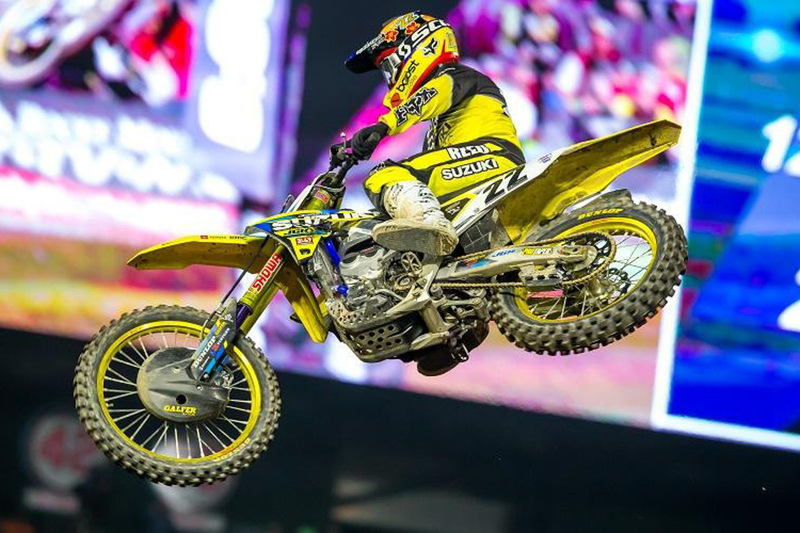 The Rockstar Energy Husqvarna Factory ace suffered multiple injuries to his arm and ribs in a practice crash this week, forcing him out of the title hunt as he undergoes surgery. It’s a bitter blow for the number one, who’d been experiencing a mixed start to his championship defence. It seems as though Australian fan-favourite Chad Reed (JGRMX Yoshimura Suzuki Factory Racing) hasn’t been able to catch a break, although he’s been showing strong signs of promise at 36 years of age. Remember that inspiring heat race performance he put in at Glendale? Well, unfortunately that didn’t translate in the main. 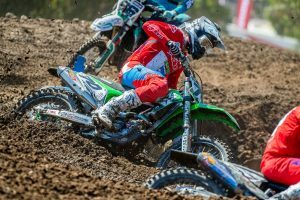 Looking to make a mends at A2, the number 22 experienced a rare and bizarre mechanical – the thread stripped to his clutch cover – a factory piece of equipment – causing oil to leak on the line for race, ultimately preventing him from starting. In typical Reed fashion, he bounced back for an impressive fifth in the final encounter, proving he still has the speed to mix it up with the leaders. Lastly, if you weren’t aware, Aussie Tomas Ravenhorst has been trying his luck in the 250SX West category. Unfortunately, he hasn’t made a main just yet – which is his goal – although he has come incredibly close. He’s on the cusp of making the big show, and we think his time is just around the corner.